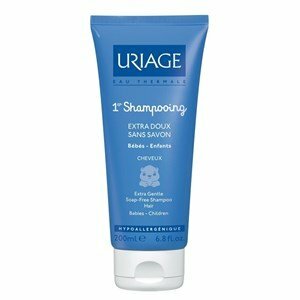 To wash the baby's hair, 1ère Shampooing, ultra gentle cleansing without soap base, with physiological pH, respecting the fragile scalp. With a gentle and pleasant perfume, this shampoo is ideal for the hair care of the little ones. Does not sting the eyes and detangles the hair. Apply to wet hair, lightly massage and rinse. Use daily during the bath. Does not sting the eyes. No parabens, no phenoxyethanol, dye-free and alcohol-free.